"Research has shown that positive emotions and interventions can bolster health, achievement, and resilience, and can buffer against depression and anxiety. And while considerable research in neuroscience has focused on disease, dysfunction, and the harmful effects of stress and trauma, very little is known about the neural mechanisms of human flourishing. Creating this network of positive neuroscience researchers will change that." The Positive Neuroscience Project was established in 2008 by Professor Martin E.P. Seligman, Director of the Penn Positive Psychology Center, with a $5.8 million grant from the John Templeton Foundation. In 2009, the project announced the Templeton Positive Neuroscience Awards competition to bring the tools of neuroscience to bear on advances in positive psychology. This phase of the project concluded in September 2013, with related publications to be released over the following months. Dr. Seligman was the principal investigator for the Positive Neuroscience Project, and the steering committee includes: Turhan Canli (Stony Brook University), Helen S. Mayberg (Emory University), Joshua Greene (Harvard University), Adrian Raine (University of Pennsylvania), Steven Maier (University of Colorado at Boulder), Julian Thayer (The Ohio State University), and Barnaby Marsh (John Templeton Foundation). Amy Walker serves as the project's program officer. A complete list of distinguished senior advisors can be found on the project website. 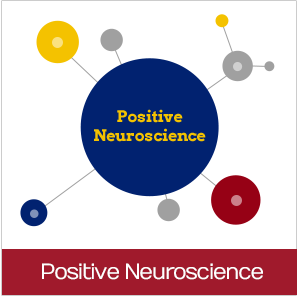 In 2010, the Positive Neuroscience Project announced the winners of the Templeton Positive Neuroscience Awards, recognizing the highest standards of scientific excellence and identifying future leaders in the new field of positive neuroscience. The winning projects will help us further understand how the brain enables human flourishing. They explore a range of topics, from the biological bases of altruism to the effects of positive interventions on the brain. Below is a list of winners of these awards; full project abstracts and researcher bios can be found by clicking each project title. Britta Hölzel and Mohammed Milad from Harvard Medical School: Could Meditation Modulate the Neurobiology of Learning Not to Fear? Visit the Positive Neuroscience Project website at www.posneuroscience.org to read researcher bios and detailed project descriptions.